The DPU-accretive S$268m acquisition of 18 Tai Seng boosts FY3/20 DPU by 3.5% and increases exposure to the hi-tech segment (43% of portfolio). The Equinix collaboration at 7 Tai Seng Drive deepens Mapletree Industrial Trust’s participation in the data centre sub-segment and provides visible and stable rental income. 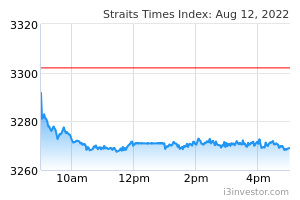 Maintain ADD with a higher DDM-based Target Price of S$2.10. Following MAPLETREE INDUSTRIAL TRUST (SGX:ME8U)'s proposed acquisition of 18 Tai Seng and the announced collaboration with Equinix, we update our rental income forecasts. Consequently, FY3/20F DPU increased by 3.5% and FY3/21F DPU by 0.9%. Refer to the PDF report attached for the revised figures and DDM-valuation details. The proposed acquisition of 18 Tai Seng was assumed to begin contributing to rental income in FY3/20 while the data centre at 7 Tai Seng Drive was assumed to begin contributing from 2HFY3/20 onwards. 18 Tai Seng was assumed to be acquired with a 40% transaction gearing. 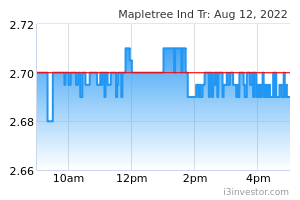 Mapletree Industrial Trust offers an 8.4% DPU growth in FY3/20F stemming from full year contributions of 30A Kallang Place and Mapletree Sunview 1 as well as the completion of the proposed acquisition of 18 Tai Seng. With the revised assumptions, we arrive at a revised Target Price of S$2.10, which represents a total return of 12.8%, and maintain our ADD call. The proposed acquisition of 18 Tai Seng was announced on 13 Dec 18. The nine-storey property would be acquired from the Sponsor, Mapletree Investments Pte Ltd., which completed its development in 1 Nov 2016, for an agreed property value of S$268m. The site was the last land plot in Paya Lebar iPark launched by JTC in the Industrial Government Land Sales in 2013. It has a NLA of 384,212 sf with about 74% for industrial use, 14% for office use and the remaining for retail shops. The industrial and office spaces have over 50,000 sf of column-free floor plates with selected units having full-height double-glazed windows. The retail space offers the greatest variety of dining options in the vicinity and also has essential retail amenities like a supermarket, a clinic, a laundromat and a childcare centre. These amenities serve the working population at Paya Lebar iPark and the residential populations of mature housing estates like Hougang, Bedok and Toa Payoh. It is located in the centre of Paya Lebar iPark and enjoys prominent frontage along Upper Paya Lebar Road. The proximity to major expressways like the Pan-Island Expressway and the Central Expressway ensures that the property is highly accessible for workers, clients and shoppers. The property is also the only building in Paya Lebar iPark with a direct underground pedestrian link to Tai Seng MRT station. We think that this helps ensure a steady footfall through the retail shops in the property, allowing it to have stronger pricing power vis-à-vis surrounding properties. The property has a strong tenant base, which includes multinational companies in high value-added services like medical technology and IT services. As at 30 Sep 2018, it had an occupancy of 87.4%, with a committed occupancy of 94.3%; all committed leases will commence progressively by 1 Mar 2019. Vacancies are in the industrial and office space; the retail space has 100% occupancy. It has a WALE (by gross rental income) of 3.6 years with 78% of leases expiring in FY22/23 and beyond. The property also offers organic growth opportunities as 95.7% of leases have built-in rental escalations. The proposed acquisition increases the portfolio value to S$4.4bn and lifts the Hi-Tech Buildings segment to 42.7% of the portfolio from 39.2%. The enlarged portfolio would also have an improved lease expiry profile with lease expiries in FY22/23 increasing to 33.5% from 31.1%. The financing structure for the proposed acquisition has yet to be finalised although the Manager intends to utilise debt financing, proceeds from an equity fund raising and/or internal cash resources. The decision is dependent on market conditions, whether the unit price holds up well and if unitholders are willing to inject more funds. The Manager has also outlined scenarios where the transaction gearing (loan to value (LTV)) is 40%, 60% and 100%; this would increase Mapletree Industrial Trust’s aggregate leverage to 35.4%, 36.5% and 38.7%, respectively. The largest tenant of the property, Sivantos Pte Ltd, contributed 36.6% to the property’s gross rental income and will also be Mapletree Industrial Trust’s with a 1.9% contribution to gross rental income as at 30 Sep 2018. The acquisition also dilutes the maximum risk exposure to any single tenant from 10% to 9.4% of gross rental income; Hewlett-Packard remains the largest tenant in Mapletree Industrial Trust’s portfolio. Top 10 tenants also contribute a lower proportion of gross rental income post-acquisition, from 26.3% to 25.8%. Given that the acquisition is considered an interested party transaction, Mapletree Industrial Trust will have to obtain approval at an EGM on 22 Jan 2019. On 8 Jan 19, Equinix announced plans to build its 4th data centre in Singapore in collaboration with Mapletree Industrial Trust at 7 Tai Seng Drive. Upgrading works have started since Sep 2018 and the data centre, called SG4, is expected to open in the fourth quarter of 2019. SG4 will provide at least 4,000 cabinets with a total co-location space of more than 132,180 sf. SG4 will provide customers software-defined interconnection to some of the largest cloud-service providers like Alibaba Cloud, Amazon Web Services, Google Cloud and Microsoft Azure. 7 Tai Seng Drive will be fully leased to Equinix, on a core-and-shell basis, for an initial term of 25 years with annual rental escalations and an option to renew for the remaining land lease tenure. This improves visibility and stability of rental income. The collaboration builds on existing relationships Mapletree Industrial Trust has with Equinix; Equinix is currently a tenant at Mapletree Industrial Trust’s purpose-built facility for data centre use at 26A Ayer Rajah Crescent and at 180 Peachtree, in the United States of America. With the latest collaboration, Equinix currently has four data centres in Singapore; the newer two data centres, SG3 and SG4, are in collaboration with Mapletree Industrial Trust. 7 Tai Seng Drive was acquired by Mapletree Industrial Trust in 2018 from its sister REIT, Mapletree Logistics Trust, at a purchase consideration of S$68.0m. The 7-storey property has a gross floor area of 256,600 sf and is on a site zoned for Business 2 use with its land lease tenure of 30 years commencing from Mar 1993. In light of the collaboration, we expect Mapletree Industrial Trust to exercise the 30-year land lease option with JTC. Current upgrading works include increasing the power capacity and providing additional telecommunication infrastructure to support data centre operations. The property previously had older warehouse specifications with limited scope for redevelopment into a modern ramp-up logistics facility.